One of the well-known personality, working as Assistant Professor of Pediatric in Chengelpattu Medical College & Hospital in Tamil Nadu. Dr. Sathya is also a Neo Natal Specialist at Chengalpattu Medical College Hospital and has developed a Low Cost, Low Maintenance Infant Warmer, targeted at the Rural Healthcare System. An infant warmer is used mainly to warm babies soon after birth, it is used for babies who are either unwell or premature i.e. born before 40 weeks of gestation. Through her innovation it helps to reduce infant mortality rate especially in rural areas. Jeganathan roped in Villgro, formerly known as Rural Innovation Network, for help as well. It can also be dismantled and assembled easily for transporting it to the rural hinterland. She was passionate and committed towards her works, which act as an everlasting savior for infants in rural areas. Due to poverty many children are left to beg in temples by their parents. 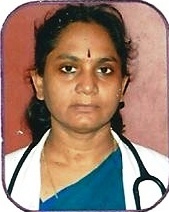 This crucial situation inspired Dr.Sathya Jeganathan, which made her to take care of children�s education. Her courageous activities motivated the children to understand the essence of education and its importance. In October 2010 Dr. Sathya Jeganathan was invited for Clinton Global Initiative Programme (CGI) at New York, which convenes global leaders to devise and implement innovative solutions to some of the world's most pressing challenges. As one of the speakers, Dr. Sathya Jeganathan contributed her ideas on �Advancing Development by Design�. In this panel, she discussed how to approach the design of new product and services in a way that turns challenges into opportunities. Dr. Sathya Jeganathan is the daughter of Gandhian couples of Mrs. Krishnammal Jeganathan (85years old) and Mr. S. Jagannathan (95years old). A lifelong Gandhians, committed to the philosophy of self-reliance. This old couple began a movement in 1968 called LAFTI-Land for the tillers� freedom. LAFTI started in Tamil Nadu in Southern India as a non-violent movement to get land from landlords and distribute it to landless peasants. This movement was set up as an organisation and has successfully donated thousands of acres of land to poor and low caste families. Krishnammal Jagannathan and LAFTI were honored with two prestigious International Humanitarian Awards.�The Opus Prize�was presented at Seattle University on 18th November 2008 and The Right Livelihood Award was presented in Sweden on 8th December 2008 in a ceremony at the Swedish Parliament. The Right Livelihood award was presented to both for their lifetime of work dedicated to realizing in practice of Gandhian vision of social justice and sustainable human development for which they have been referred to as �Indian Soul�. Tamilnadu Chief Minister Mr. M. Karunanidhi congratulated Krishnammal Jagannathan for winning the prestigious Right Livelihood Award, known as the "Alternative Nobel."